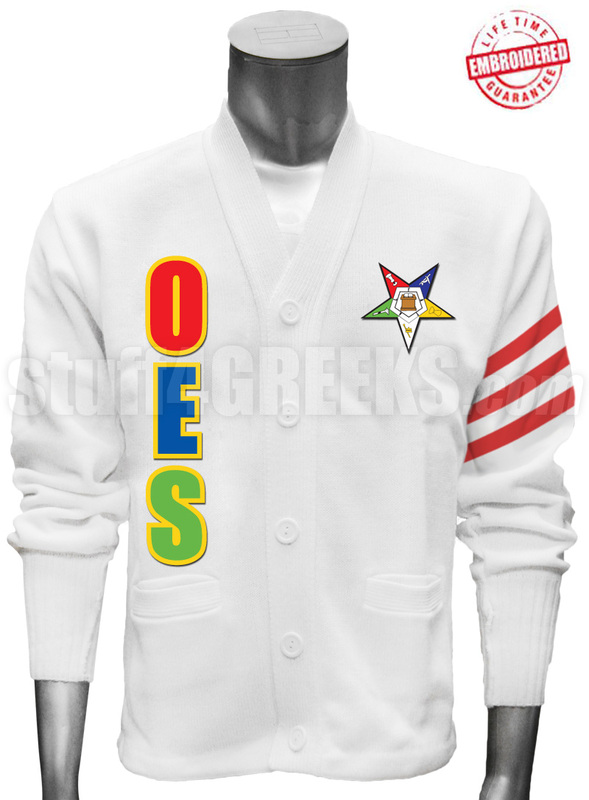 White Order of the Easter Star striped sleeve cardigan with the organization name down the right and a Fatal Star on the left breast. Don't like this caridgan? Looking for something different? Click here to make your own custom Greek caridgan. You will earn at least 250 rewards points for this purchase. Your total rewards points will be higher based on the options and quantities that you choose. Your merchandise total at checkout is your true rewards value.